As its chucking it down and I can’t play in garden I thought I’d do a blog cos my page was so popular and I got more comments than mum!! Luckily it wasn’t raining first thing this morning so managed to fit in my daily jog around the village then I guarded mum’s scooter while she went to fetch me some cocktail sausages from the shop! I helped with laundry, didnt have any pegs to carry today as it had started raining by time clothes had finished so they went in dryer instead, will have dryer to empty later! 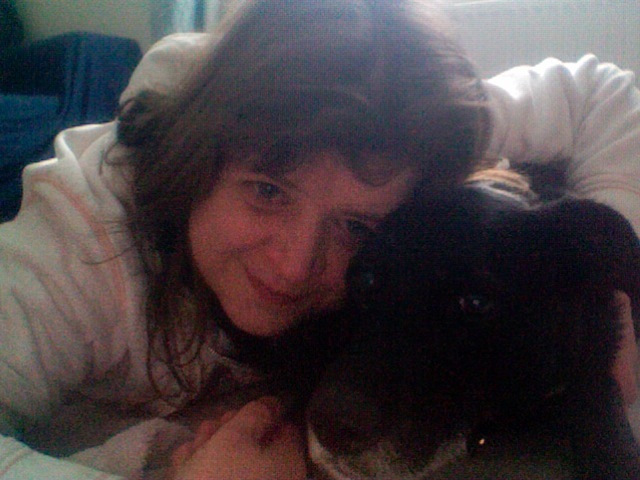 Had my photo taken with mum while we had a play and cuddle. I’m glad its finally getting milder so when I wake up I don’t have to put electric blanket on to warm muscles through before I can do anything. Today was first day I didn’t need to do that. 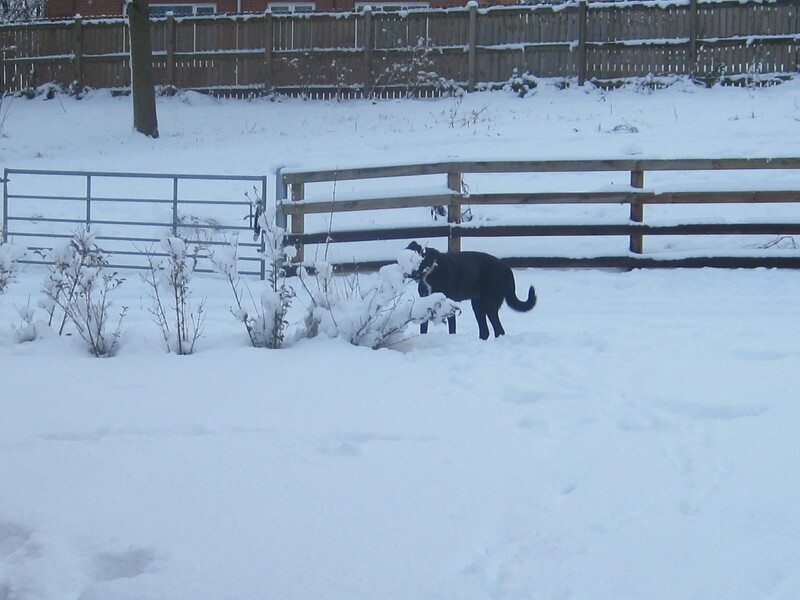 It has been a long winter and very cold here in UK with really heavy snow and freezing temperatures everynight. I haven’t been able to go on Wii Fit Plus that I got for xmas much as I pulled muscles three times between xmas eve and march. I wasn’t exercising either just doing normal things like pulling clothes on, trying to turn over in bed etc. I have only been able to manage gentle exercising by stretching whilst fully supported by my bed and the heat from electric blanket keeping muscles warm and relaxed, so It was a nice change this morning to not be so stiff and I have managed half an hour on the Wii Fit plus today doing gentle yoga and some balance exercises. I like this game as it stops after a few and gives you chance to rest however the weighing thing is not very accurate and its often several pounds out from bathroom scales and frequently tells me my weight has changed within the space of about 5 mins! I sit on my walker seat with balance board in front of me to put feet on without having to step up, then using an old style walking frame with no wheels, around the front I can stand myself up. I can manage exercises that only require a small amount of movement and weight shift this way. I use weights on ankles and wrists to help steady me and I find this helps. 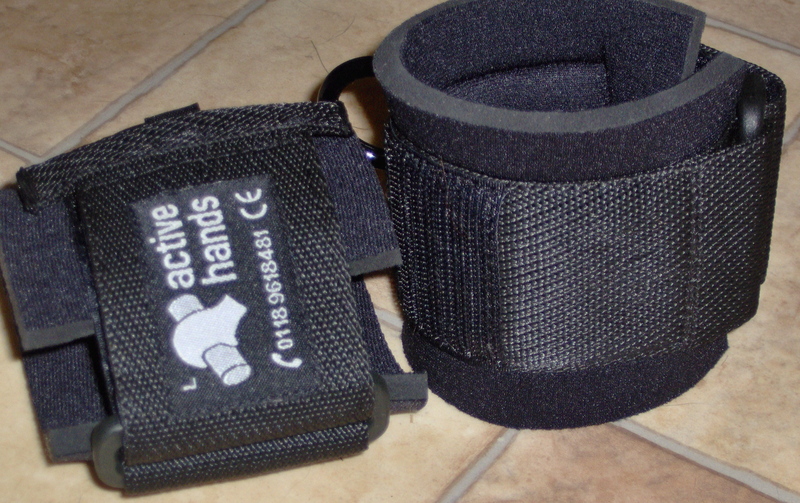 The ankle weights I have are ones sold from sports shops I originally bought them as wrist weights but found them too heavy as I have very thin wrists, so had to have the wrist weights specially made. I also use the wrist weights to steady my arms for typing for longer periods or drawing/water colour painting. They are also handy for coordination games on Wii and for helping me aim Wii remote at screen as I find it easier to line up target. The archery on Wii sports resort is good training for trying to keeps arms as steady as possible and aiming. Games that require a quicker shift of balance I have found I can manage better from sitting on the board. Any game that only requires you to shift balance left/right or front to back can be done from sitting on it. My sitting balance is better than my standing balance. Sometimes if a game requires a front to back balance shift, if you turn the board around (as if it was a skateboard you were gonna stand on or ‘portrait’ mode) you can then just move left for forwards and right for backwards. I find it gives me more stability with legs out to side (as if sat in ‘W’ shape, like kids do) when the board is this way around and narrower. If I need to sit on it in ‘landscape’ mode I have the old walker behind me so I’m sat in middle of it with sides to hold on to. For games that don’t require balance board I sit on bean cube with leg at each side, – again to give myself a wider base and try to focus on sitting up straight and aiming accurately at the screen. For games requiring faster actions like tennis and boxing I stay in wheelchair for safety, then I can put concentration into exercising arms fully rather than trying not to fall off the bean cube! I have found this has improved my core body muscles so although it was too late to do anything about my legs and speech by time I was diagnosed I am hopeful that that the stretches and exercising/art therapy has gone some way to helping reduce the speed at which the ataxia is affecting my upper torso and arms. I think also as typing is my main form of communication not only for computer access but to use a minicom textphone and my lightwriter has meant that I can still do most things for myself, things just take a little longer these days! I managed to get all the background info completed earlier than expected and this site is now ‘live’! 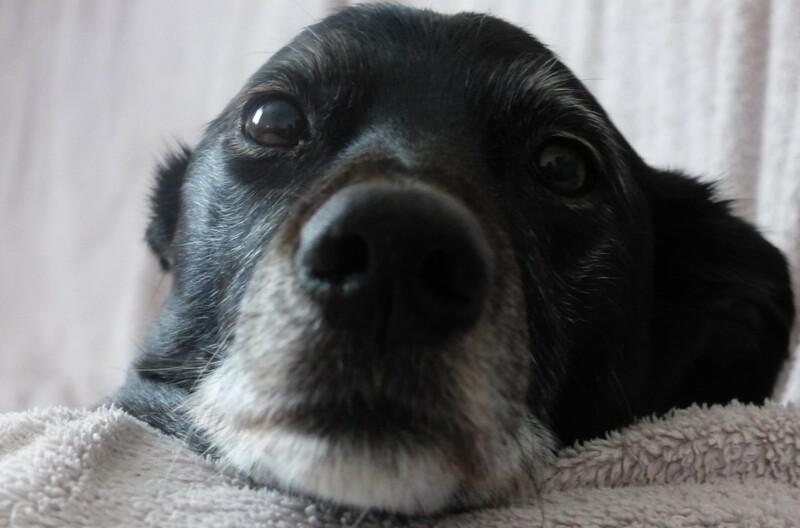 Feel free to read the pages, watch out for me and Inca appearing in the video about Ataxia (What is Ataxia page) at around 0.45. I have only just started this so please call back to check for updates to blogs, as I thought I would start with background information first. Please feel free to look through my pages, they aren’t all complete yet as I only started yesterday! I hope to have the background information completed this weekend. 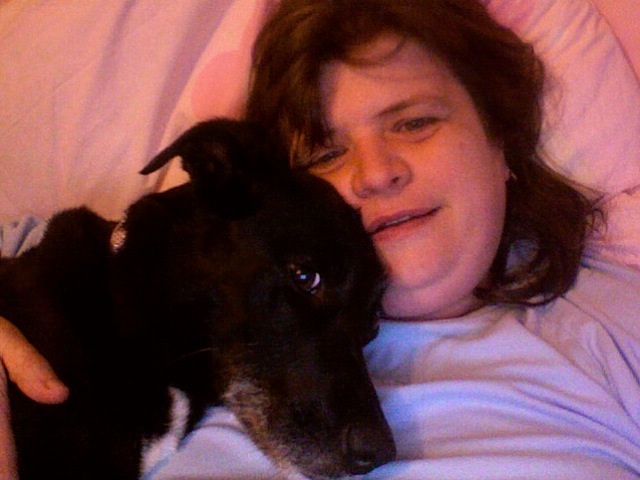 In the meantime, here’s an extra pic for you taken with my iSight camera of me and my doggy!